Plug modular jack into the "Headset" jack on the back of your phone. Connect your headset into 2.5mm stereo jack. Press "Headset" button on the front of your Cisco IP phone. You can use the headset with all Cisco IP Phone features. The volume and mute controls also adjust volume to the ear piece and mute the speech path of the headset. 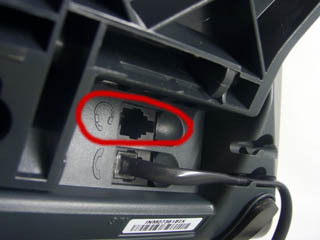 The headset activation key is located on the front of the phone. 1. Which headset should I buy? The headset adapter for a Cisco IP phones will work with most standard cell phone headsets, equipped with a 2.5mm stereo plug. Check list of compatible phones on the headset box - if it has more than one manufacturer is listed (ex. Motorola, Audiovox, Samsung, etc), is what you are looking for. If you have only one manufacturer (ex. only Nokia), most likely it will not work. I would recommend well-known brands - Plantronics, Jabra, RadioShack, but it will also work even with cheap no-brand headsets. 2. Will it work with my existing headset? The answer is "it depends". 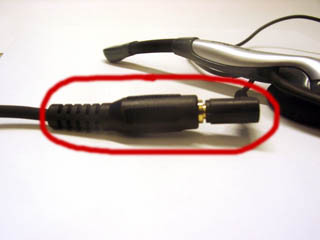 If you have a headset with a 2.5mm stereo plug, and your phone is not a Nokia - you should not have any problems. 3. Will this adapter work with my office phone? The answer again is "it depends". The Headset Adapter will definitely work with Cisco IP phones. It may work with Avaya, AT&T, and Lucent phones, but it will not work with Nortel, Meridian, and Norstar phones. 4. I have Bluetooth headset. I want to make it working with Cisco IP phone.